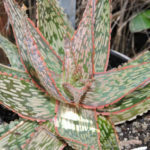 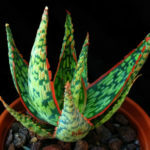 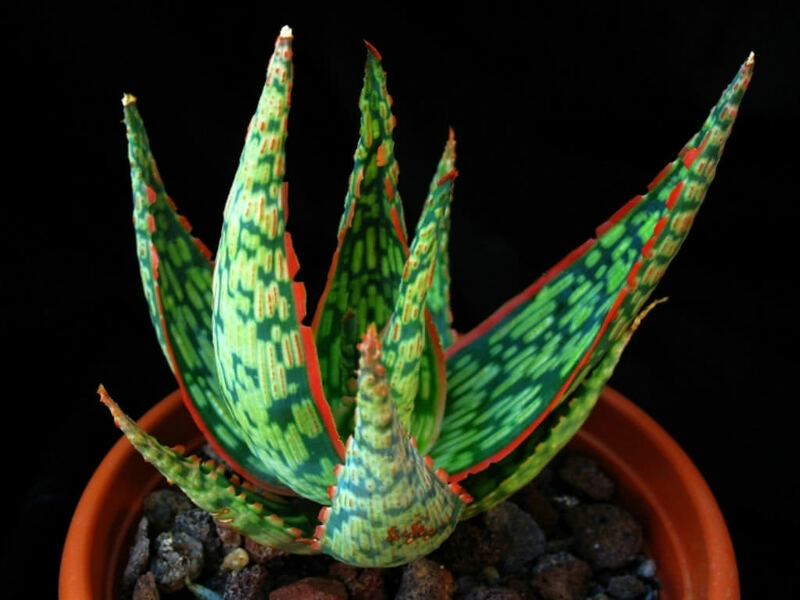 Aloe ‘Peppermint’ is a wild looking small Aloe that forms a cluster of upright up to 12 inches (30 cm) tall rosettes of mid green colored leaves that have very pale green longitudinal dashes lined up in bands across the upper surface of the leaves and bright orange leaf margins. 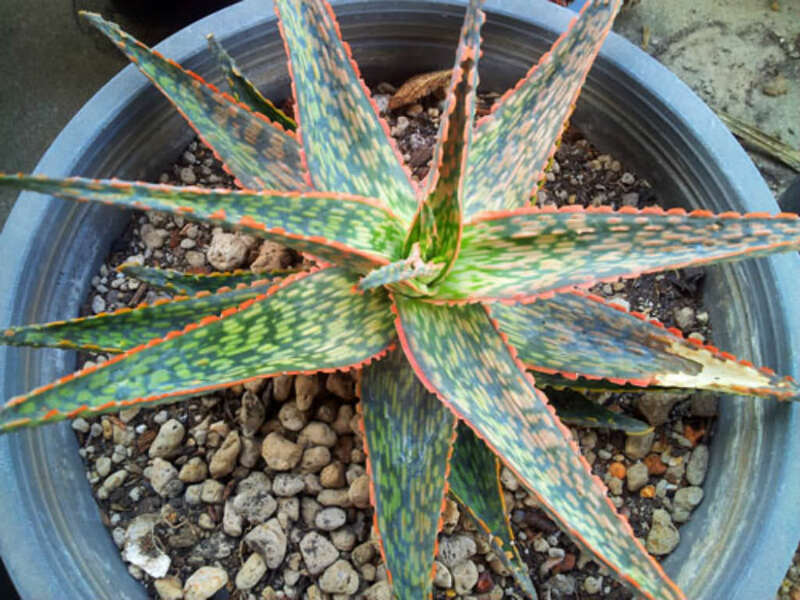 The orange flowers rise above the leaves in winter. 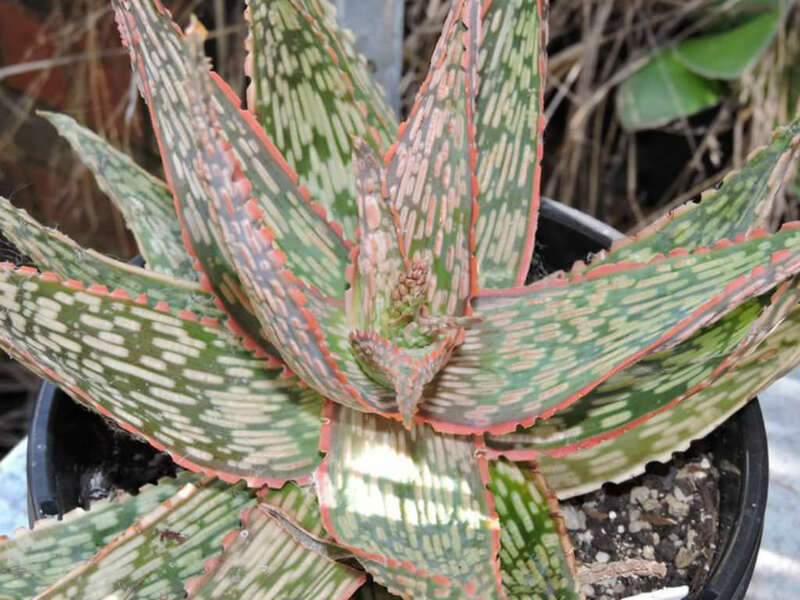 It is Kelly Griffin hybrid and involves the crossing of several species over a number of generations.